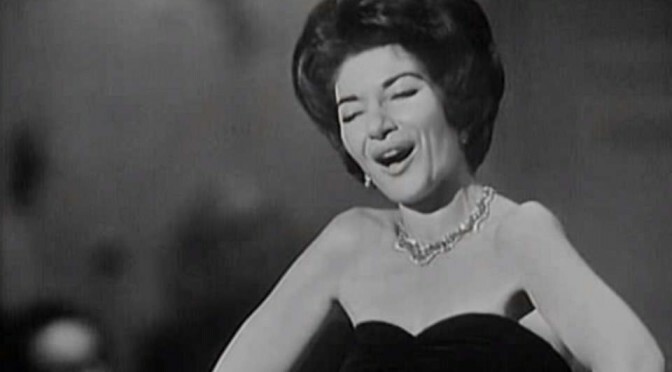 Maria Callas sings “L’amour est un oiseau rebelle” (English: Love is a rebellious bird), popularly known as “Habanera” from Georges Bizet’s 1875 opera “Carmen”. Hamburg, 1962. North German Radio Symphony Orchestra (NDR Symphony Orchestra, German: Sinfonieorchester des Norddeutschen Rundfunks, or NDR Sinfonieorchester) conducted by the French orchestral and opera conductor Georges Prêtre (born 14 August 1924). Habanera is actually a Cuban popular dance music of the 19th century. The score of this aria was adapted from the habanera “El Arreglito”, originally composed by the Spanish musician Sebastián Yradier. Bizet thought it to be a folk song; when others told him he had used something that had been written by a composer who had died only ten years earlier, he had to add a note to the vocal score of Carmen, acknowledging its source. Habanera is an aria for a mezzo-soprano role and one of the most famous arias from Bizet’s Carmen. The French libretto was written by Henri Meilhac and Ludovic Halévy. Mais pas aujourd’hui, c’est certain! Battit de l’aile et s’envola. When will I love you? But not today, that’s for sure. Nothing to be done, threat or prayer. He says nothing but he pleases me.